This week’s pets are Amber and BooBoo Buttons, sent in by Robin Bailey Von Hollin of Dogs Deserve Better. Amber and BooBoo eat, sleep and play together, perfect bookends. They are very bonded and in need of a family of their own. These two ladies were pulled within hours of being euthanized. Their story is a very sad heartbreaking ordeal. That’s all behind them now. They are looking for a brand new start with a family that will love and cherish them FOREVER. 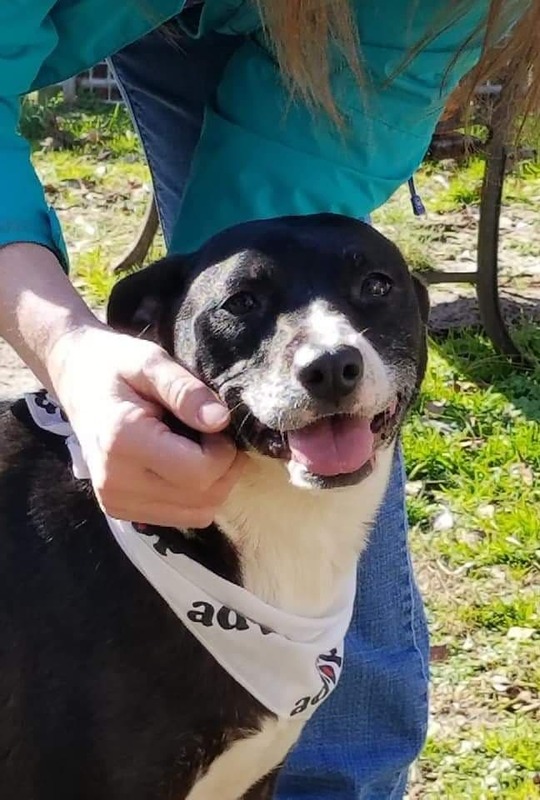 Boo Boo Buttons is black/white 40 lbs, about 5 years old. Heartworm negative, spayed, utd on shots. Loves cuddles, enjoys car rides and being outside on nice sunny days. Super sweet, she will make a loyal companion. Does not like cats. Amber is brown/white about 50 lbs, 2 years old. Heartworm negative, spayed, shots utd, loves to play, run, being outside on sunny days, likes car rides, loves belly rubs! ,hanging with her people. Easily excited and will jump some time. Does not like cats. I can not express enough just how loving, sweet and special they are! If you are interested in adding to your family these girls are a must meet!!! If you are a rescue that can or you are interested in adopting or fostering please contact robinv@dogsdeservebetter.org for more Information on these the awesome girls. Thank you so much for helping the animals that need homes and love. Great job.